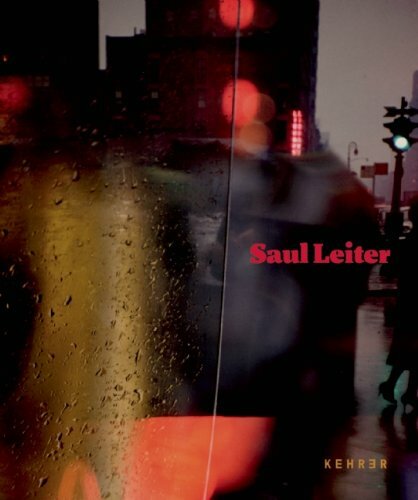 Saul Leiter (b. 1923 in Pittsburgh) has only in recent years finally received his due as one of the great pioneers of color photography. This can perhaps be attributed to the fact that Leiter saw himself for a long time mainly as a painter. After coming to New York in 1946, he exhibited alongside Abstract Expressionists like Willem de Kooning before beginning in the late 1940s to take black and white photographs. Like Robert Frank or Helen Levitt, he found his motifs on the streets of New York, but at the same time was visibly interested in abstraction. Edward Steichen was one of the first to discover Leiter’s photography, showing it in the 1950s in two important exhibitions at New York’s MoMA. Back then color photography was regarded as »low art,« fit only for advertising. Leiter accordingly worked primarily as a fashion photographer, for magazines such as Esquire and Harper’s Bazaar. Nearly 40 years would go by before his extraordinary artistic color photography was rediscovered. This book, published to mark the first major retrospective of Leiter’s work anywhere in the world, features for the first time, in addition to his early black and white and color images, his fashion photography, the overpainted nudes, as well as his paintings and sketchbooks.